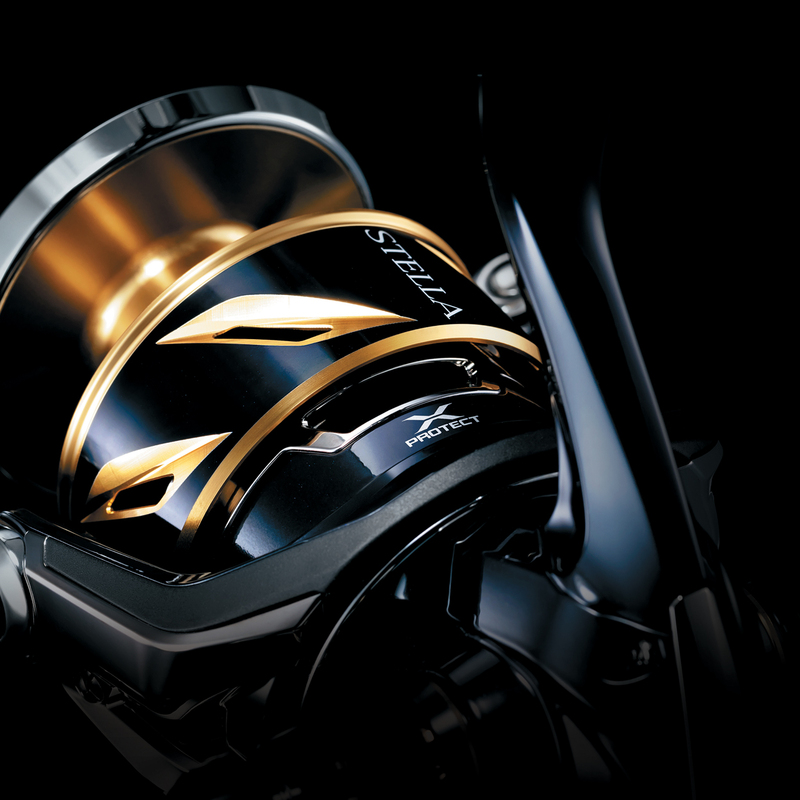 The Stella SW represents the pinnacle of innovation for Shimano reel technology and fish-fighting performance. For 2019, this flagship series has been upgraded and released in 8000, 10000 and 14000 sizes. For increased power and enhanced durability, this series features a range of upgrades. Infinity Drive has been incorporated for light and powerful winding and the upgraded Heatsink Drag provides superior drag performance under extreme heat. A waterproof rating of IPX8 is achieved through X-Protect and X-Shield with the aluminum Hagane Body acting as a rigid and super tough outer shell. The HG models are designed for both casting and jigging, whereas PG is geared for jigging applications and XG for saltwater casting. Available in stores March 2019. Highly rigid aluminum Hagane Body. Upgraded drag with superior heat resistance through a Heat Sink Panel and Insulation Sheet which blocks heat transfer to the spool and ensures drag performance.